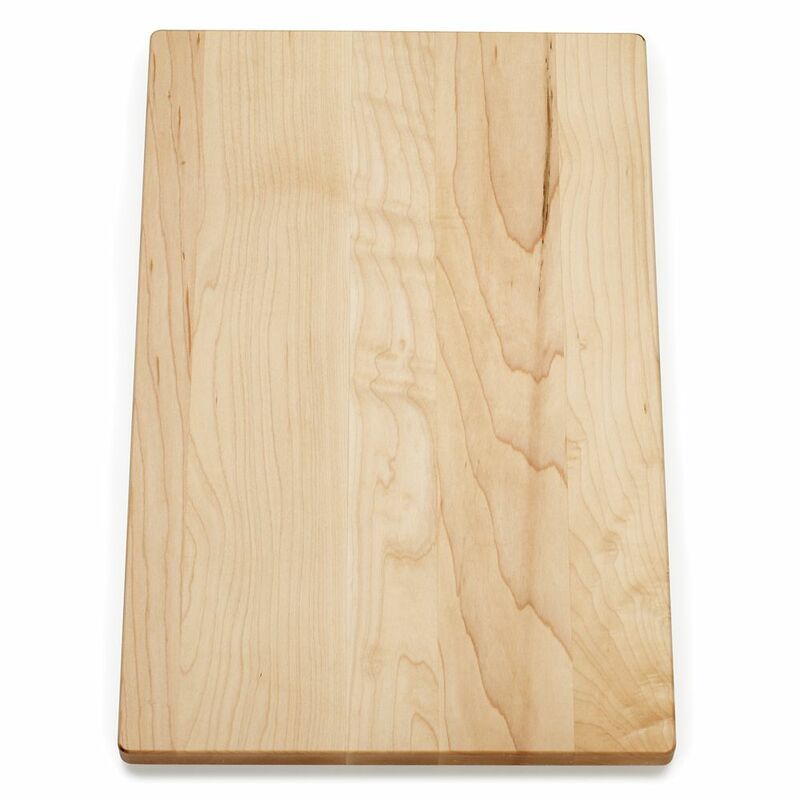 Kindred Maple Cutting Board - 17-3/4" X 11-1/2" X 1"
Hardwood cutting board for food prep and presentation. Expand the functionality of your kitchen with a custom cutting board and colander, designed to fit snugly into select Ravinia(TM) and Undertone(R) kitchen sinks. The cutting board is constructed of premium hardwood for long-lasting performance, and sits atop a white polypropylene colander that can be used for draining and rinsing. Crafted from quality hardwood, this countertop board offers a durable cutting surface in a portable, reversible, and easy-to-use design. Shaped to easily fit over kitchen sinks, the cutting board has a uniform edge that allows you to slide it along the sink or countertop and holds the board securely in place for cutting. Made of beautiful, durable hardwood, this cutting board features a gracefully curved shape and grooved channel that directs liquids away from the edges and into the sink. The board has been specifically crafted to fit over select sinks, bringing convenience to your kitchen workspace. Maple Cutting Board - 17-3/4" X 11-1/2" X 1" Hardwood cutting board for food prep and presentation.